This tapestry "Adornment" shows an elaborate decorative design in browns and earth tones. Here we see the rich floral theme accented in places by subtle blues. This piece is inspired by the decorative design of French art with a Persian influence. 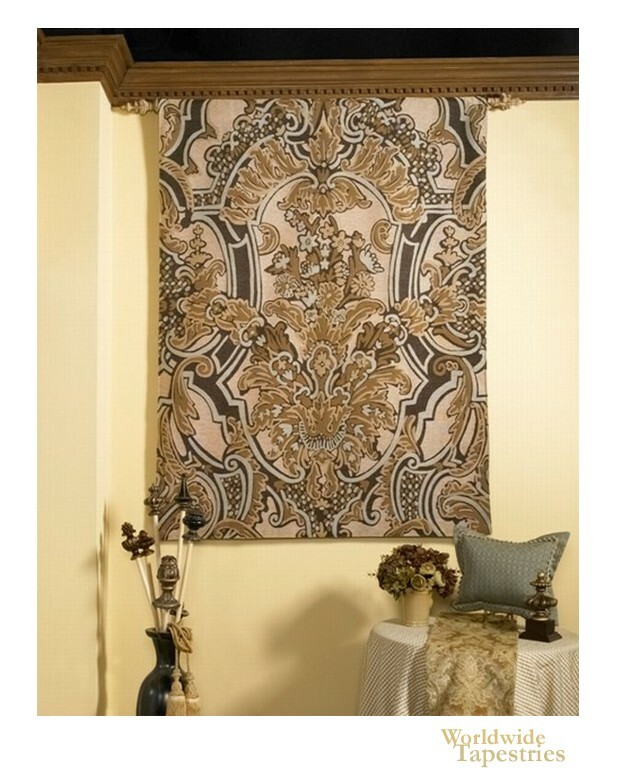 This art tapestry "Adornment" is backed with a lining and has a rod pocket for easy hanging. Note: tapestry rod, where pictured, are not included in the price.